Office based in Balakong, Cheras Selatan. 5 working days a week. Accommodation will be provided for outstation candidates. 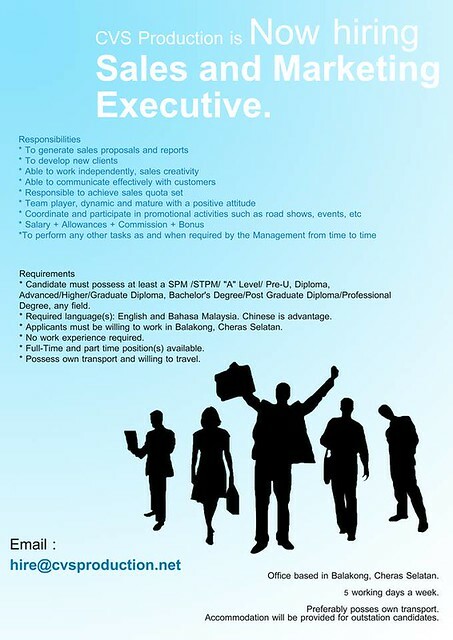 * Candidate must possess at least a SPM /STPM/ “A” Level/ Pre-U, Diploma, Advanced/Higher/Graduate Diploma, Bachelor’s Degree/Post Graduate Diploma/Professional Degree, any field. * Required language(s): English and Bahasa Malaysia. Chinese is advantage. 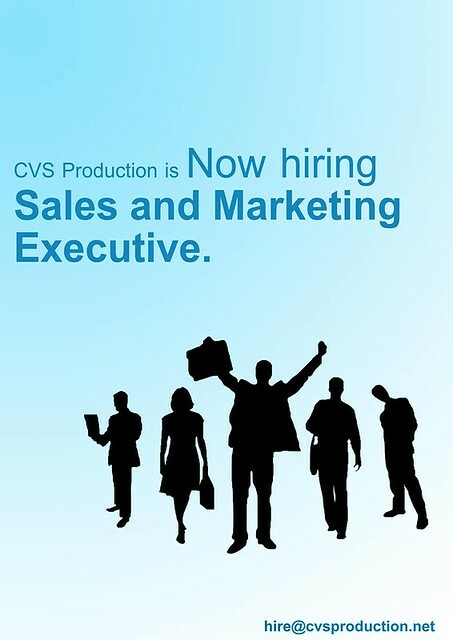 * Applicants must be willing to work in Balakong, Cheras Selatan. * Full-Time and part time position(s) available. * Possess own transport and willing to travel.